2015’s breakout labels say a lot about the current fashion mood in the UK. For example we like (love!) boho but only when it’s truly authentic and adhering to traditional folk methods (see Vita Kin’s embroidered Ukrainian dresses) because faux-ho is a no-go. Or the fact that we’re denim obsessed; mom jeans and straight legs are the shape-du-jour for directional denim lovers and those in the know are heading to ReDone—where classic styles have been, you guessed it, re-done for the here and now. Jean culottes (namely those from Rachel Comey) have also taken off as a long-lasting wardrobe staple that is surprisingly, universally, flattering. Try them, you might like them. There’s still an element of normcore kicking around but it's less tomboyish and there are subtle, luxed-up differences; the nana-style glove shoes and mules from Maryam Nassir Zadeh are practical, completely unsexy (according to some), well-made, selling out and therefore a perpetually hot ticket. They are the ultimate outfit balancer when you want to look casual and understated. Or how about our adoration for anything seemingly minimalist but actually quite complex and cerebral? French designer Jacquemus is a perfect case in point: yes, those trousers are basic, and navy, but they’ve got giant, red portholes stamped through the hem. Or Rihanna-approved Vetements: see a classic biker jacket blown out to gargantuan proportions. These are the kind of pieces that may look challenging but are actually easy because their DNA lies within the things we already love to wear: no wonder Balenciaga have snapped one of the brand's core members, Demna Gvasalia as the new artistic director following Alexander Wang's departure. And of course—this is Britain—there is a high street label having a moment in stylish circles: Uterque is Zara’s grown-up sister, offering a more sophisticated take on the trends as well as starting some of their own. Everything is of excellent quality and the price-tags belie their designer-looking status. 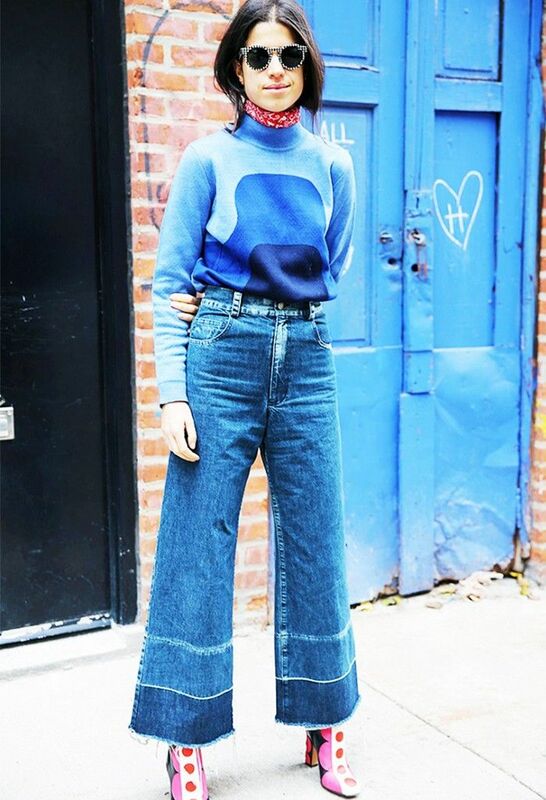 On Leandra Medine: Rachel Comey Legion Jeans (£165); Valentino boots. 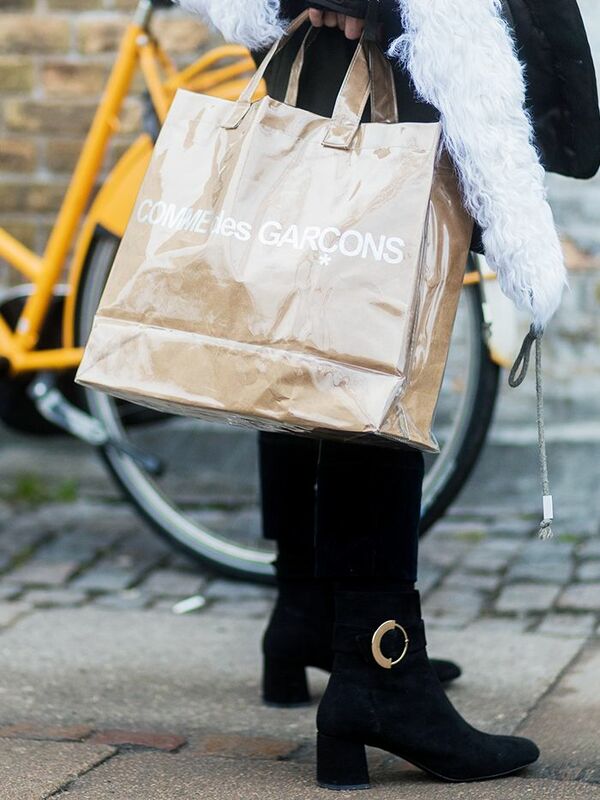 On Alexa Chung: Jacquemus skirt; Hillier Bartley bag; Louis Vuitton boots. On Pandora Sykes: Uterque skirt; Zara shoes; Burberry bag. On Nadiia Shapoval: Vita Kin dress. On Annabel Rosendahl: Mauro Grifoni shirt; ReDone jeans; Chanel bag. On Dakota Johnson: Marni dress; Maryam Nassir Zadeh sandals. Shop online at the MNZ store. On Gilda Ambrosio: Vetements dress; Alexander Wang boots.